If you are planning to purchase a propery in Italy or want to open an Italian bank account, you will need a codice fiscale. The codice fiscale is a number issued by the Agenzia della Entrate (the Italian Revenue Agency) of the Ministry of Economy and Finance of Italy. You will need to fill in a form and show you passport. You may need an Italian bank account to transfer money for your property purchase, as the notary may insist on a banker’s draft from an Italian bank. Talk to Smart Currency Exchange about the best and safest way to transfer money from the UK (or anywhere else) to Italy. When you find a property that you’re keen to buy, it is important to ask the estate agent for detailed information about the transaction, what property features are included in the sale, title information, building compliance, applicable transaction taxes, ongoing costs (eg maintenance, taxes), energy supply and seller’s solvency before committing to a purchase. It is an Italian estate agent’s job to not only bring sellers and buyers together, but also to carry out the enquiries and research necessary for the closing of the purchase/sale. They are there to guide you through every step of the purchase. Follow our guide to the buying system in Italy and you’ll be receiving your keys before you know it. If you choose, you may want to get a survey done. If the property needs renovating, you will also want to get quotes for labour and materials, as well as costs involved in getting planning permission (if required). Try and meet the neighbours and ask around locally for information about the area, such as the location of waste dumps, sewage works and noisy neighbours or businesses. All this information may affect the offer you make. Initially, you will negotiate the price verbally through the estate agent. You could then do a purchase proposal (proposta di acquisto), which is a declaration by the buyer that he wants to purchase the property at a certain price. Once signed, you are then making a commitment to purchase. But the seller is not yet obliged to accept. If the property comes with a lot of land, it has to be offered to the neighbouring farmers at that price first. If they don’t want to buy it, they must sign a declaration saying that. Get your free tickets to the upcoming Your Overseas Home shows while they last – it’s a great opportunity to ask your questions face-to-face to lawyers, estate agents, mortgage specialists, currency brokers and removals experts. Once accepted by the seller, the purchase proposal should be converted into a preliminary contract (contratto preliminare), signed also by the seller. In the buying system in Italy, this is a proper contract that obligates both parties to sign the final contract. The preliminary contract stipulates the main elements of the transaction, such as the sale price and the identity of the property, its address, plot numbers, a detailed description using information from the Land Registry and the date of the final contract. It is not mandatory for the preliminary contract to be drawn up by a notary, but it may be useful to have a notary clarify some terms. Once the seller signs it, they are accepting the offered price and undertake not to sell the property to anyone else. At this stage, the buyer pays a deposit (caparra) of around €10,000, usually. Under typical conditions laid out in the contract, if either side backs out, the other party will have the legal right to seek compensation. The buyer could claim back his deposit, plus the same amount again if the seller backs out. If you, the purchaser, back out, you lose your deposit. If all necessary paperwork is in order, you could skip the preliminary contract and move directly to the final purchase deed. This is where the notary comes in. As a buyer, you choose (and pay) the notary. By law, the notary acts as a third party who is independent of both seller and buyer, ensuring that the conveyance of the property complies with all legal requirements. Once the nature of the deed to be drawn up has been defined, the notary must by law perform a series of up-front checks on legality, so that the contract will stand the test of time and be unassailable. For peace of mind, you may also want to employ an English-speaking lawyer to make sure you understand everything and protect your interests. If the buyer is ready and the house is vacant, six to eight weeks is usual. Quite often, however, paperwork has to be prepared or plans updated and occasionally, there may be planning issues to sort out. This can all result in it taking longer. The seller and buyer attend the notary’s office to witness and sign the public deed of sale (atto pubblico di compravendita, also called rogito). If you are unable to attend in person, you can be represented by a power of attorney. Firstly, it is translated into English for you. After the final deed is signed, the balance of the purchase price is paid to the seller, by means of Italian banker’s draft or bank transfer. You now receive the keys. This is the final part of your six-article serialisation of Buying in Italy. 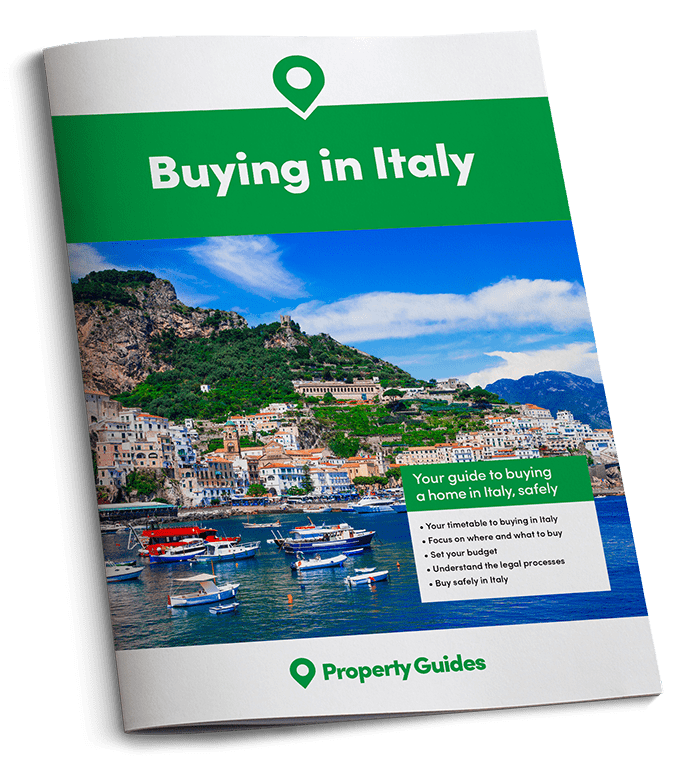 By now, you should be ready to buy over here, but, if not, don’t hesitate to give us a call for advice from the Resource Centre on +44(0)20 7898 0549 or email italy@propertyguides.com.